Last week, I attended a conference in the city. This conference is considered one of the top events for people in my profession. As part of this conference, I attended a dinner with about 30 other women from all around the world, though the majority of them seemed to be from large cities like New York and Los Angeles. As part of the dinner, everyone was asked to stand and introduce themselves. I sat and listened to amazing women list their professional accomplishments and credentials. “I am a fashion show coordinator”, “I photograph product for a high-end clothing company”, “I am a beach body consultant”, “I am an executive in New York”… and the list of achievements and qualifications went on and on, seeming to grow more and more prestigious with each woman. As these women spoke of themselves, I slowly felt more and more unsure of myself. What would I say when it was my turn to introduce myself? I started giving myself a little pep-talk, listing things in my head… that I would definitely NOT say: DO NOT mention the little farm town you’ve lived in your entire life, with the greatest and most faithful people you’ve ever met. DO NOT mention that your top skills include: diaper changing, lawn mowing, dish washing, and boo-boo kissing. DO NOT mention your husband AT ALL, because you’ll seem stronger if you don’t have a man to lean on, don’t say how proud you are of how hard he works for your family, and how you support and love each other. DO NOT mention your faith, because you don’t want to seem like a simpleton, who not only believes in God, but loves Him and serves Him. And whatever you do, Natalie, DO NOT mention your kids, we don’t want anyone thinking you are “JUST A MOM”. When my turn came, I shakily stood, but not very tall, despite my height. 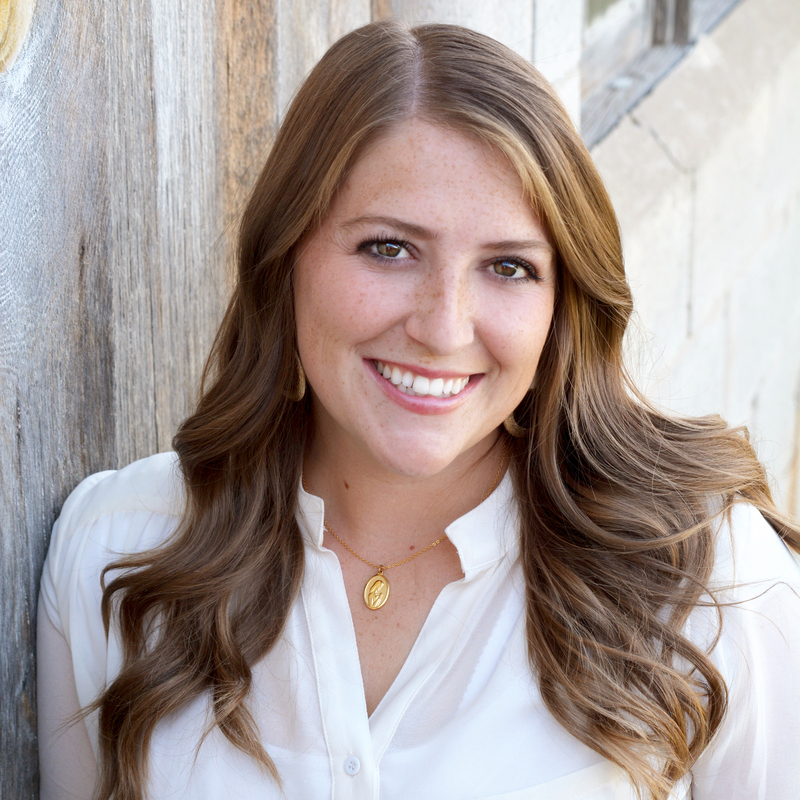 And I worry that I will forever regret what came out of my mouth, “I am Natalie, from The Creative Mom. But I am NOT JUST A MOM….” and I tried to say things about myself that wouldn’t seem too “domestic” or “homely”. My introduction was a disaster to say the least, and everything I said couldn’t have been farther away from the REAL me. The night continued, and I chatted with ladies who seemed much more accomplished, talented, and influential than I would ever be. And all the while, I tried to prove to them (and myself) that I am not “just a mom”. As I laid in bed that night, I was ashamed of myself. I could not believe that I had tried to hide the most important part of my life, and not only the part of my life that takes the most effort and time, but the part of my life I am most proud of- my children! I have heard it said before that “The noblest calling in the world is motherhood” (source). Yet sometimes it doesn’t seem like that. We all honor and praise our mothers, but so many women don’t want to accept that same roll in their own lives, and frown upon other women who dedicate their lives to their families. Often times, as mothers in our society, we are made to feel like motherhood and being “just a mom” is negative. But having a distinguished career, no matter the cost to those we love (especially the little ones we love), is encouraged and celebrated. Why are our professional accomplishments made to seem so fantastic and wonderful when our accomplishments in the home are belittled? I wish that every mother could be braver than I was that night. 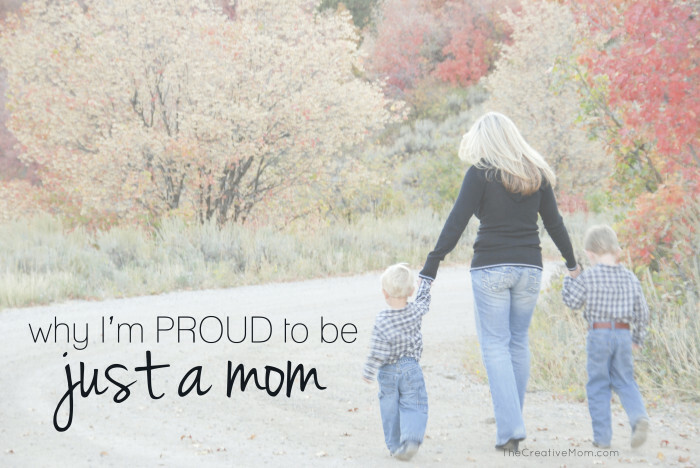 To stand up and say “I am just a mom! !”, and that the world would applaud her for the courage and sacrifice that motherhood requires every day. Being “just a mom” is hard, and no woman (or man, for that matter) should ever feel like less of a success, less accomplished, or less important because we choose to make our family our priority. We should feel that being a mother, especially being a full-time mom, is an honor! It is the most important work we can possibly do. When all else fails in this world, and our children have nowhere to turn, we are there for them. They will always be able to count on MOM! They will know that we’ve chosen them! We have chosen to put them above the board meetings and corporate dinners, above our own wants and desires. It’s hard work! Trust me, I know. But we will never regret the extra time we spend with our families. I hope we can be proud to be a mother, because I know the little people in our lives look up to us as so many things. To them, we are much, MUCH more than “just a mom”. So I’ll have the courage! I’ll be the kind of woman who is proud of her job as a mother and homemaker. And next time I get the chance to introduce myself, I will stand up and say, “My name is Natalie, and I’m a mother!” And guess what, I’ll be proud of it too! You know what, you’re not just a mom. You’re a super mom, a best friend, a comedian, a hostess, a creative woman, and the list goes on. What conference was it? Sounds awesome! I love this! And it’s so true, I often find myself saying, “oh, I just stay at home”, when really, I feel so lucky that I get to stay at home everyday and be with my kids!! Thanks for the reminder! !